Joaquin Barriendos (Mexico City, 1973) teaches at Columbia University (Department of Latin American and Iberian Cultures) and is visiting professor at University of Barcelona (Department of Art History). In 2010 he was fellow-researcher at the Institute National d’Histoire de l’Art-París (Art et Mondialisation) and in 2009 visiting-researcher in the Program in Museum Studies (New York University). He is the Editor in Chief of the Journal of Global Studies and Contemporary Art. He currently conducts a Research Project entitled The Rise of Global Art: A Geopolitical View on the International Contemporary Art System. He has published extensively on the globalization of Latin American contemporary art as well as on the economic, aesthetic, racial, and epistemic asymmetries that give shape to the so-called global art world. His book Geoestética y Transculturalidad was awarded in 2007 the annual prize on art theory, conferred by the Fundació Espais d’Art Contemporani. In 2011 he co-edited the multi-author book Global Circuits: The Geography of Art and the New Configurations of Critical Thought (ACCA). 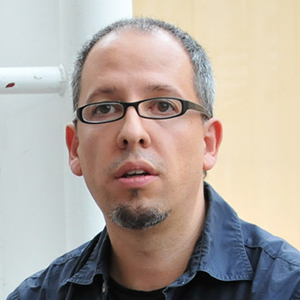 He collaborates with several networks such as Red Conceptualismos del Sur, Visual Culture in Europe, and Tristestópicos. He is a member of the International Association of Art Critics and contributes on a regular basis with diverse academic and non-academic publications.